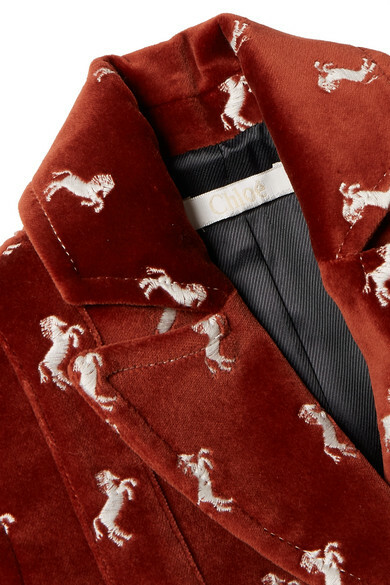 The adult version of Chloé Kids' suit sold out almost instantly, so don't leave it in your wish list for too long. 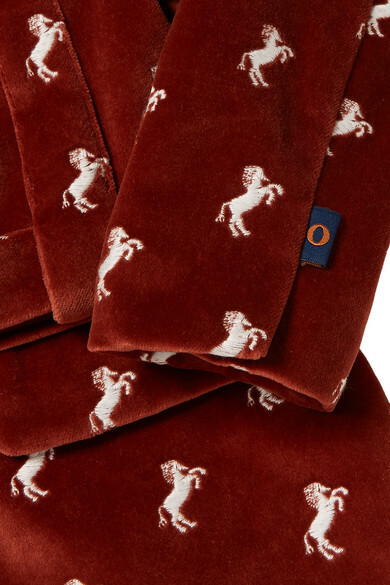 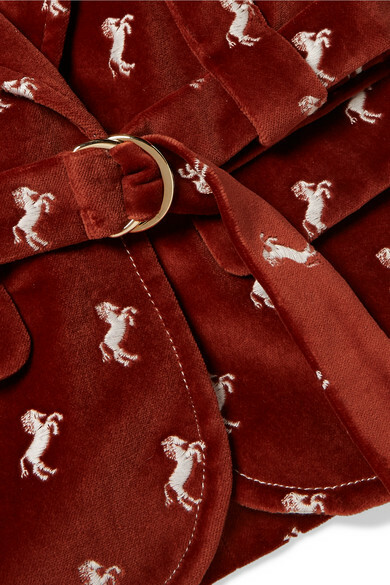 It's cut from the softest cotton-velvet embroidered with the French house's prancing horse motif and fastens with an easy snap. 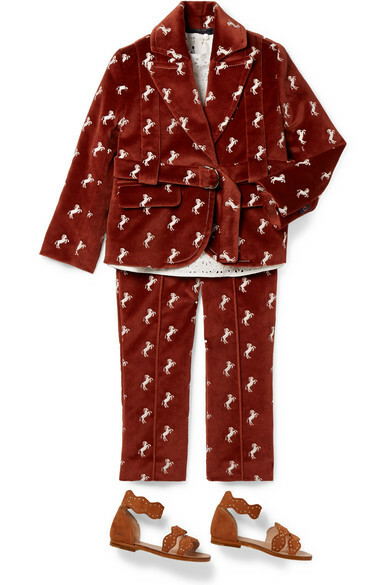 Dress your mini-me in the matching pants for special family parties. 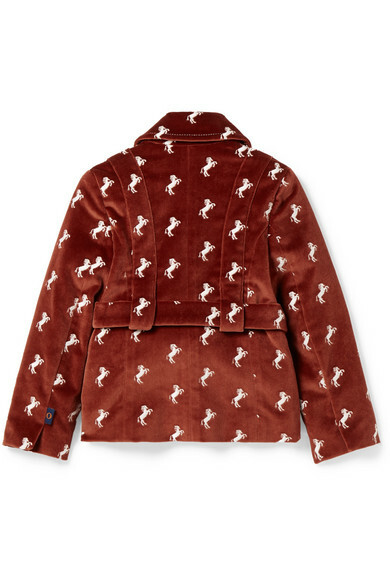 Shown here with: Chloé Kids Top, Chloé Kids Sandals.